With the use of Paytm, you can pay autorickshaw drivers also. Even in any business like grocery stores, paan wallas, stationery you can pay amount via paytm. In your small business, you can now receive money in your bank account via the Paytm Wallet. But first important to know – what is a QR Code? 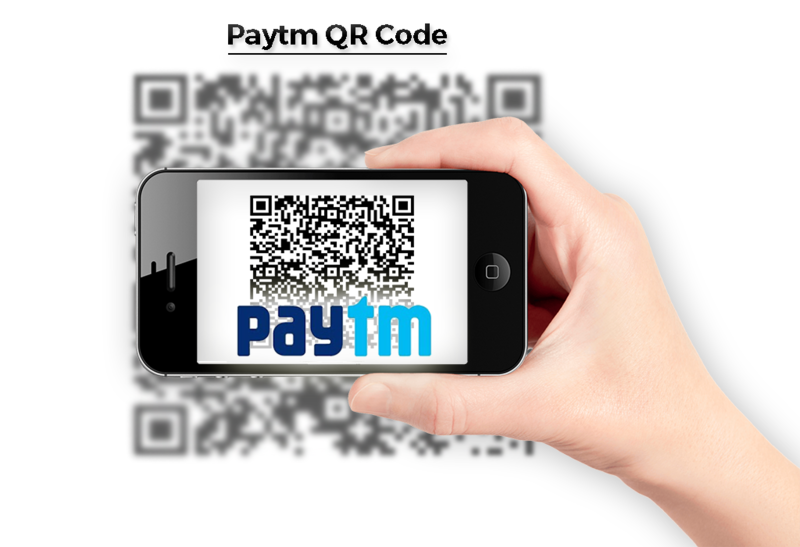 The full form of QR code is – Quick Response Code. QR code is a popular type of a two-dimensional barcode that can store a lot of information. It is encoded with alphanumeric information and can be decoded using a QR Code scanner or a QR Code scanning application on a smartphone. QR Codes are so easy to use so anybody can create and use them for their benefit. 1. If you are a new user then Download Paytm app on your smartphone & sign up using your mobile number. 2. Visit this page and click on Get your QR code instantly. 4. On the account activation page, Select “I want to accept payments in my shop/retail store”. 5. You have to fill all the details which are required. After filling form click on Submit button. 6. 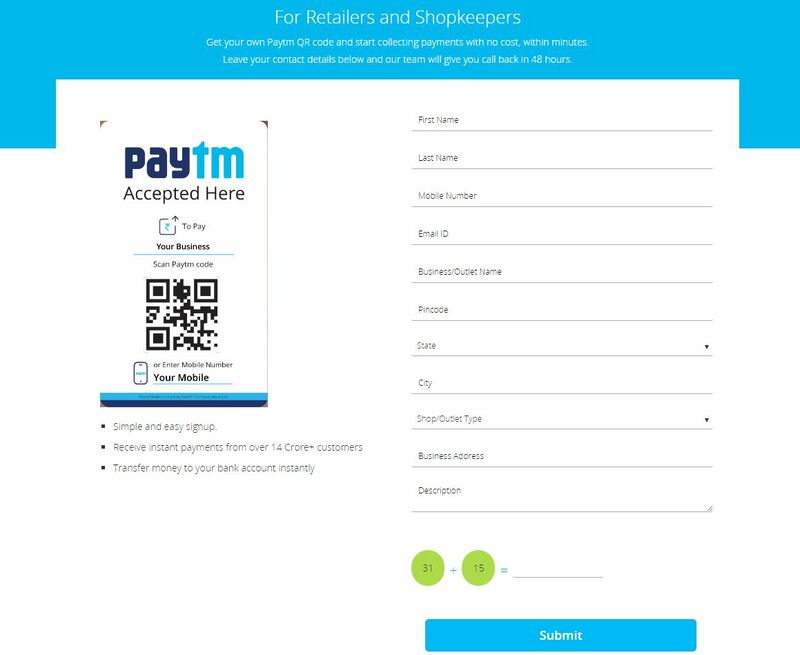 After submitting this form you will receive a call from the Paytm team regarding your shop Paytm QR code. 7. After generating your Paytm QR Code Instantly. 8. Print and Paste your QR Code at your counter. 9. Ask your customers to tap Pay or send button, scan your QR Code, enter amount and Pay. You will receive the Payment to your Paytm Wallet Instantly. Note : Paytm recently announced that its customers will now be able to transfer money from Paytm to their bank account at 0% fee till 31st December 2016. Receiving cash in your Payment Account is free of cost. Also, Till 31st December all KYC merchants can transfer money to their Bank account without any charges. Non-KYC merchants will be charged 1% on the Total amount transferred to their bank account.